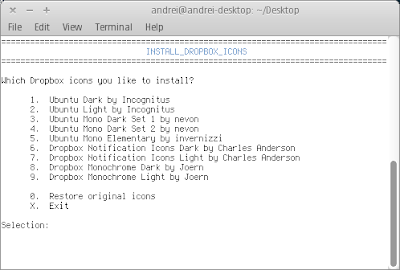 Voltron43 created a bash script for downloading and installing 9 icon sets for Dropbox. 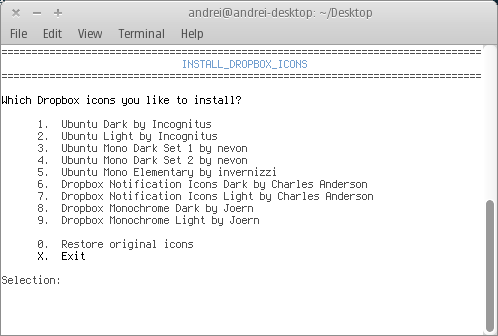 In case you don't know, the experimental Dropbox version comes with Ubuntu indicator applet support and also allows you to use custom icons. 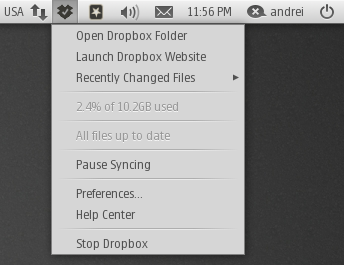 To use it, firstly make sure you're using the latest Dropbox experimental, which you can download from here. 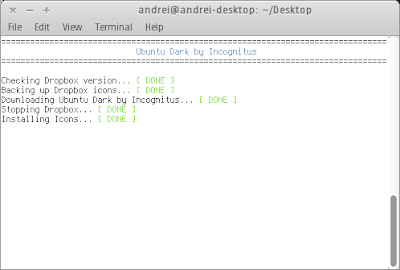 There is also a script which automatically downloads and installs each new Dropbox experimental version in Ubuntu. Don't run the script with sudo! That's not required. Once you run the script, to download and install a Dropbox icon set, simply enter the number next to the icons you want to use. If you want to restore the original Dropbox icons, the script has an option for that so all you have to do is run the script again and select "Restore original icons". Screenshots with each icon set can be found @ new2ubuntu.wordpress.com.